A water shoe is a kind of footwear that is designed to be used for water-related activities or sports. Its purpose is to keep you from slipping but also protect your from sharp surface. Water shoes also protect you from dry surfaces such as rocky beaches and hiking trails. Wearing water shoes is ideal for activities like snorkeling, kayaking, boating, angling, paddle boarding, wind sailing, and many more. This footwear is for individuals who are frequently in and out of the water. 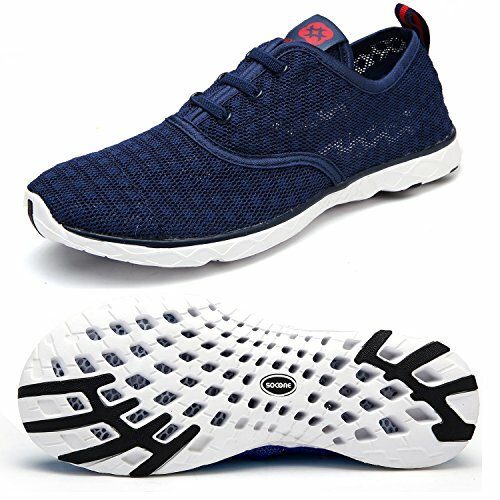 The majority of water shoes are made from durable materials like rubber and nylon, plus a variety of treads based on their proposed usage. When purchasing this type of footwear, there are several features you want to pay attention to. When choosing water shoes, you have to examine the pair to make sure that they are made from prime materials. The material must be capable of drying quickly while at the same time stabilizing the temperature of the wearer’s feet so they can stay warm and comfortable. Look for products that prioritize comfort, temperature balance, and durability and come with materials that allow for a faster drying time. Toe guards are a regular feature in many models of water shoes, and those with this detail will help you immensely. A toe guard is a factor that distinguishes a water shoe from other kinds of footwear designed for sports. While toe guards are common, there are also manufacturers who do not provide their products with this helpful feature. If you are looking for the best water shoes, always check the soles and see if they are thick enough. Thicker soles mean you will be sufficiently protected, no matter where your feet land. Furthermore, thickness means durability; thus, a thick sole can withstand the impact of sharp rocks or craggy terrain. Shoes with thick soles are also known to provide excellent traction to prevent you from slipping and falling when tackling wet, slick surfaces or getting on and off water equipment. If you want to wear the shoes for intense water activities like white water rafting, then you should opt for ones that fit securely on your feet so you will avoid losing them while in action. 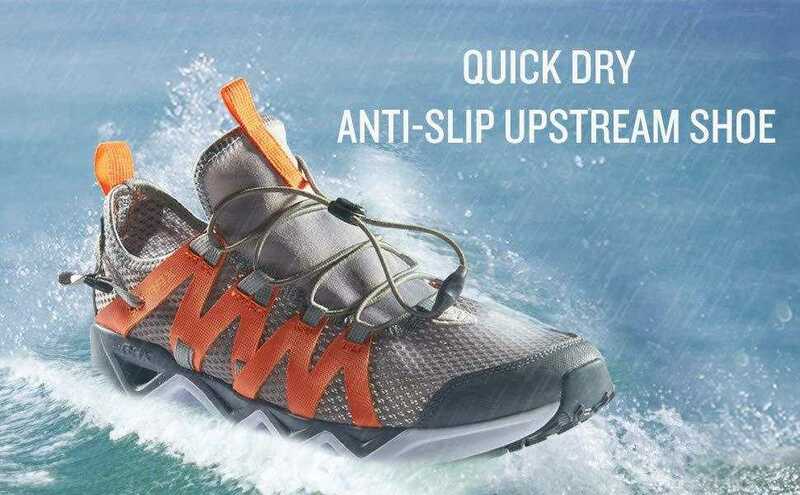 For arduous, action-packed water sports like rafting, look for shoes with additional slip protection. For those who just want to use water shoes while lounging about the pool deck, you can make do with a pair of affordable, beach-type shoes. If you want to engage in water sports in colder waters, boots are a better option. You may be able to find water shoes geared toward cold weather, but the price will likely put them out of range for many buyers. A boot would be a less expensive option; your feet will stay dry, and you will not have to worry about draining water and maintaining the temperature of your feet. There are lots of places where you can buy water shoes. You can purchase water shoes in brick-and-mortar stores and through online e-tailers. You can look for them in sporting gear shops, water sports stores, or recreational stores. A number of department stores also have them. You have purchased a great pair and have used them a number of times; however, the time will come when you need to clean them. Water shoes can quickly get smelly because they are made from materials like rubber and neoprene that do not breathe as easily. Footwear odor is often caused by fungus and bacteria, which can thrive if you do not let your shoes dry thoroughly and do not clean them often; this can lead to foot conditions. To make your water shoes last long and stay bacteria- and fungus-free, here are some of the steps you need to take to clean and maintain them. Check out: How to clean your water shoes. Proper footwear for certain water-related activities is a must; that is why purchasing the best water shoes should be a priority. 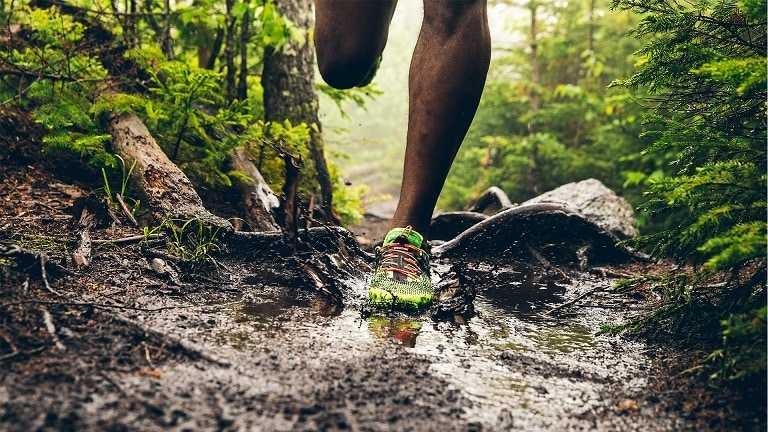 There are a number of excellent, quality water shoes available on the market, so this makes buying the best kind of challenge. To point you in the right direction, we have provided a list of great products that have acquired positive feedback from consumers. Choose from this list of five and you will be on the right track. The Drainmaker III from Columbia has fast-drying features and is one of the most versatile pairs in the company’s lineup. 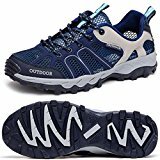 This is an ideal shoe designed to accommodate activities done on rough terrain or in water. It comes with a high number of sizable drainage points that are built into the forefoot and the heel segment for faster drainage of water. The sole is made of non-marking rubber with Omni-grip technology. The outsole is capable of effectively gripping both dry and wet surfaces. If you are the sort of active individual who likes canoeing, fishing, trail hiking, or any kind of water sports, investing in this pair is highly suggested. 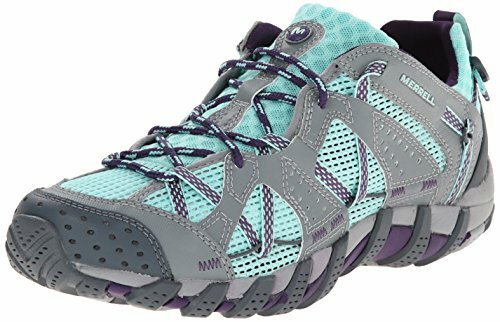 The Women’s Waterpro Maipo from Merrell comes with synthetic leather and mesh plus Lycra and stretch neoprene materials. It also includes a regular lacing enclosure for a fully protected foot. This is an excellent pair that includes an anti-friction lining treated with an antimicrobial solution for a hygienic and fresh use every time. The shoes have a molded-nylon arc shank, which minimizes impact and stabilizes the foot so you will have a superior takeoff each and every time. 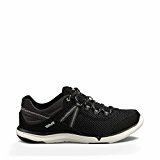 The Merrell air cushion within the heel takes in shock like a pro and provides consistency for a safe walk. The non-marking Vibram sole, meanwhile, provides the final touch for this particular vegan-friendly pair. It is recommended for hiking and trekking in the tropics. The Adidas Outdoor Men’s Climacool Jawpaw Slip-on is designed to be a versatile kind of footwear. It is manufactured to accommodate the demands of the most arduous water sports and a variety of terrains. This is a fast-drying model that comes with the Climacool mesh plus toe protection. The Climacool also comes with a perforated outsole that delivers quick drainage, while its Traxion grip offers stability and consistency in each and every step you take. 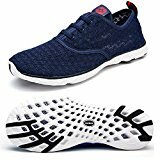 Other than that, it has a nylon mesh upper, which means the shoe has breathable qualities and includes a textile lining as well. 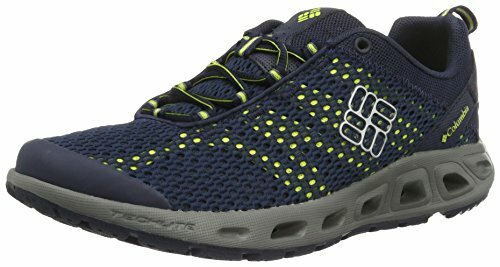 For additional comfort and lightweight cushioning, the shoes come with EVA footbeds. Lastly, it comes with the excellent super-high traction outsole made of rubber for a superior grip in both wet and dry locations. 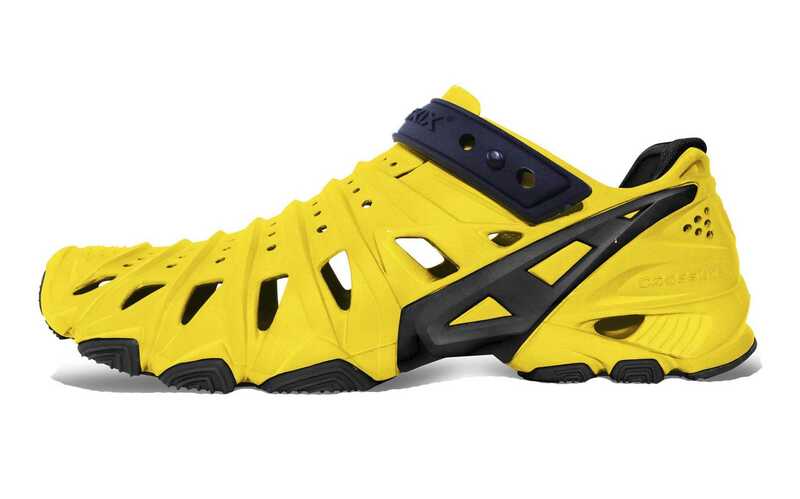 Are you tired of your pair of water shoes that lack the features you need? Maybe it’s time to check out new models from brands you have yet to review. 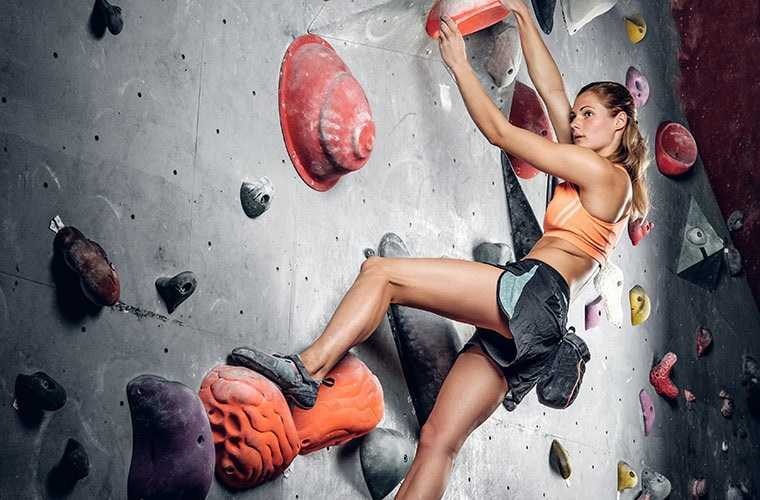 Make way for the Dreamcity Women’s Water Shoes and you will know how quality water shoes work. They feature a fabric and rubber sole that are able to last through hundreds of hours of lively activities. 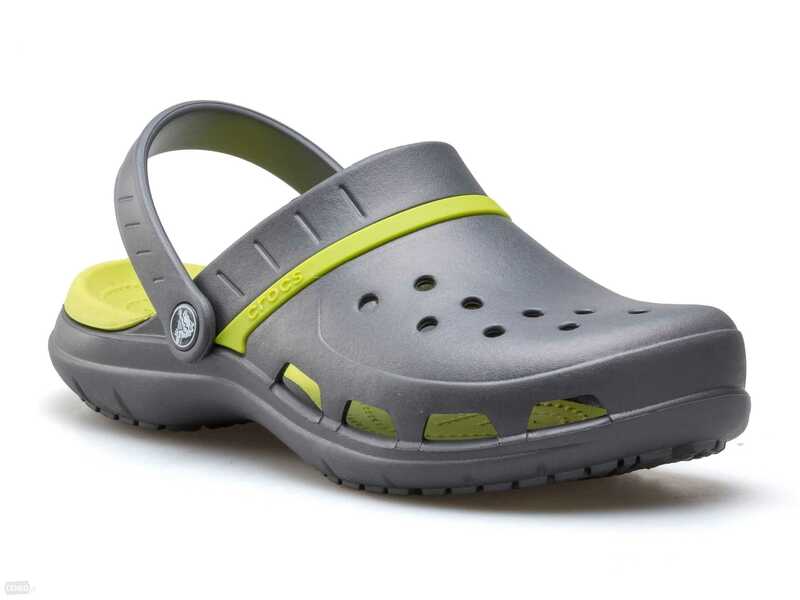 This is a comfortable pair—it has breathable air mesh to maintain coolness inside the shoes. The footwear’s Water Grip outsole plays a big role in delivering superb traction in slick conditions. Furthermore, the lightweight Solyte midsole offers great bounce-back and durability. It also comes with a ComforDry sock liner, which presents nice cushioning for a better, more hygienic shoe environment. 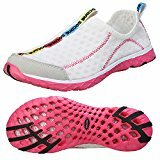 For a faster drying time and excellent breathable qualities, the shoes also include open mesh and a drainage hole on the sole. 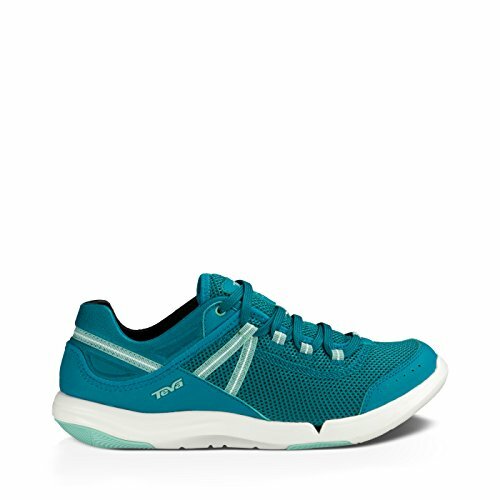 The Teva Women’s Evo Water Shoes is made from quality textile materials. 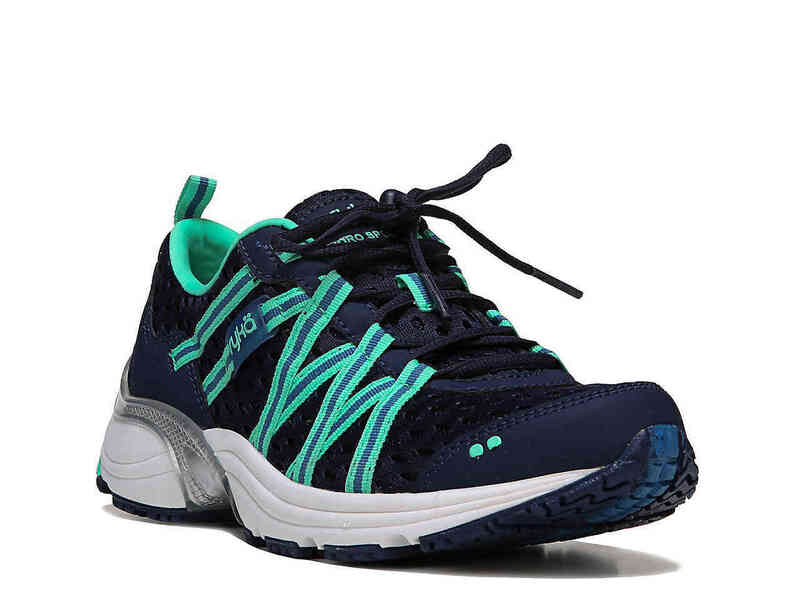 It includes mesh for superior breathable properties and allows comfort throughout hikes or energetic water sports. It comes with a sturdy, durable rubber sole with excellent traction and can accommodate a good number of diverse terrains. This model is vegan-friendly as well. This pair is made for women who love an active, sporty lifestyle. Other than its removable insole, it also comes with laces that make the shoe easy to put on and take off. Are you frequently entering and exiting the water? Then a good pair of water shoes is what you need. This Evo pair will accommodate your needs and preferences with its range of features and functionality. There are many reasons why water sports enthusiasts need to wear water shoes. One of the chief reasons why water shoes are required is for extra protection for the wearer’s feet during water sports and activities that center around the water, such as rivers and streams or lakes and oceans. 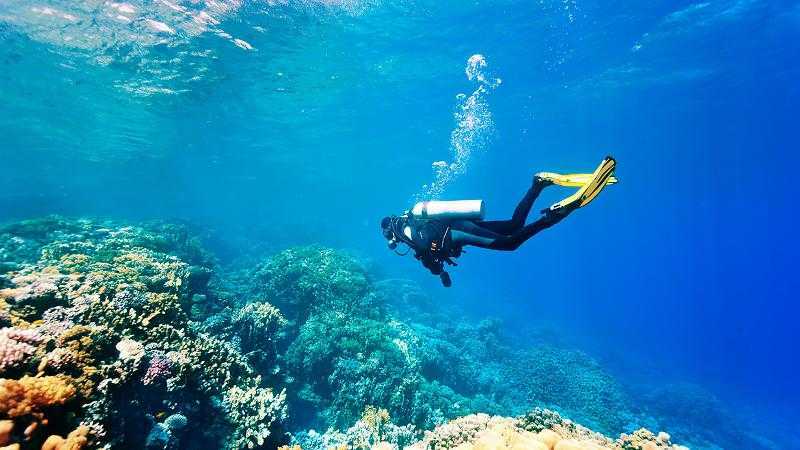 What lurks at the bottom of a lake or the ocean cannot always be seen, and water shoes offer protection against cuts and scratches that are caused by rocks, coral, shells, and other items that can prevent you from enjoying your activities. To make a great investment when purchasing water shoes, it is essential to look for products with features like thicker soles, toe guards, and high-quality, durable materials. 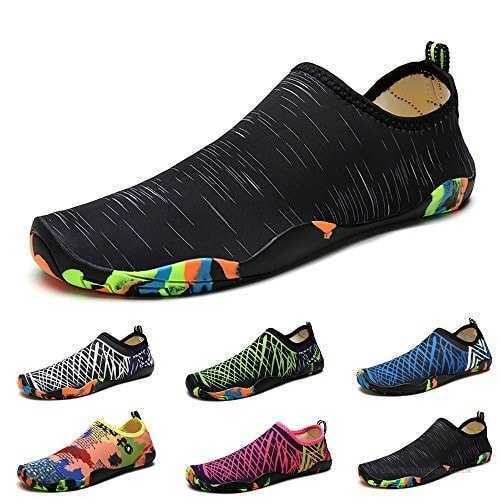 You can look for this kind of footwear in a variety of stores, from brick-and-mortar stores to sporting goods stores to recreational stores to online stores. If you do not have a lot of time to look for a pair in stores, or if your location lacks a store that stocks water shoes, you can make do with online shopping. Purchasing the best water shoes will allow you to enjoy your activities and not worry about accidents.